We have something to celebrate and we want to do that with you! Wednesday the 5th of July from 6.30 pm till 9 pm. Our fashion community already has more than 1,500 members, a fantastic and friendly group of fashion aficionados. We have met many of you but sadly have not yet been able to meet or welcome all of you at our academy. As mentioned, we have something special to celebrate, we are moving to new premises on August 1 st, an elegant townhouse in the city center. 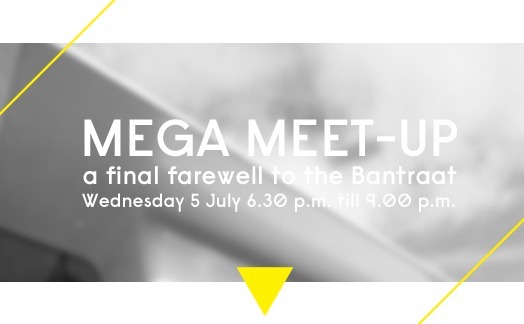 But before we say our last farewell to the Banstraat we want to organize one more mega- MEETUP. And we hope to welcome all of you. Looking for inspiration, styling advice or clever dressing tips? Or do you want to take your creative skills to the next level? Then do come along on Wednesday the 5th of July from 6.30 pm till 9.00 pm. It promises to be an exciting evening with workshops Illustration techniques and ‘make your own fashion accessories’, professional styling advice, snacks and drinks. The perfect occasion to visit our academy, get to know us better and get to meet others. Everyone is welcome and entrance is free! See you then!